Dill is one of the easiest herbs to grow and would make a great first herb for someone who has never grown herbs before. You'll find lots of uses for both the fronds and the seeds in the kitchen. A sprig of dill will perk up almost any soup, salad, or main dish. You can buy transplants at your local garden center, but there is no need because dill is easy to grow from seeds. You won't even have to start them indoors - just plant your dill seeds right in the garden where you want them to grow. Dill likes to be planted in cool weather. In warm winter areas that don't experience a hard frost, you can plant dill in fall or winter. In cooler areas, plant dill a week or two before your last hard frost. After the first sowing, plant again every 10 days or so for a continuous crop. 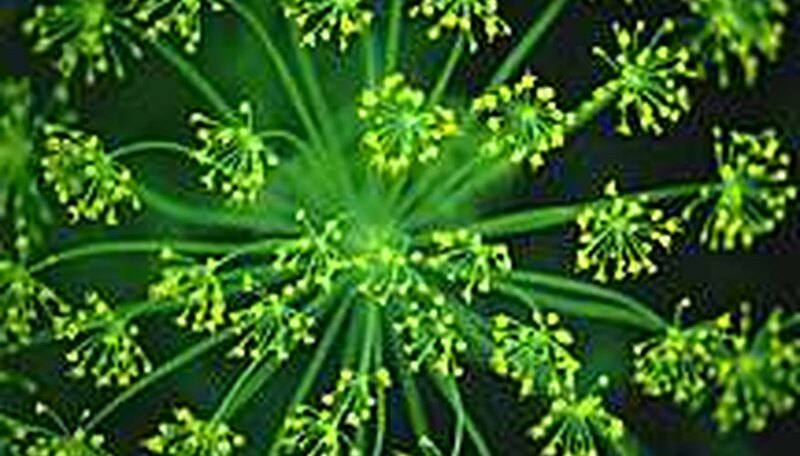 Don't plant near caraway, fennel or angelica. If you find that you have cut more than you can use, dry the excess in the microwave. Spread the dill in a single layer on a paper towel and microwave on high for 3 minutes. The result is beautiful and tasty - much better than dried dill you buy in the grocery store. After microwaving, remove and discard the hard stems, crumble the leaves, and store in an airtight container protected from light. Once seedheads begin to form, it's time to stop cutting dill for fresh use. Allow the seedheads to develop and dry completely, then cut them. You'll be able to remove the seeds easily with your fingers.